Home - Actualités - ‘The Twelve’ a gangé le prix du meuilleur scénario à Canneséries! ‘The Twelve’ a gangé le prix du meuilleur scénario à Canneséries! ‘The Twelve’ has won the price for ‘Best Screenplay’ at Canneséries! 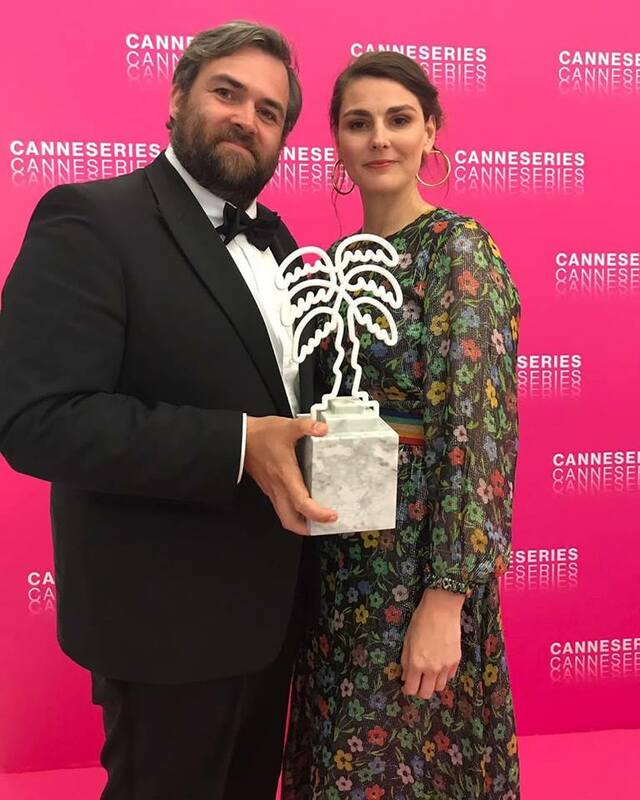 Screenwriters Bert Van Dael and Sanne Nuyens received the award during the slot ceremony show in Cannes. ‘The Twelve’ tells the story of twelve citizens who are called for jury duty on a controversial murder case. They do not have an easy task ahead of them. They will decide on the guilt or innocence of respected headmistress Fri Palmers, who stands accused of two murders. As time goes by, the murder trial becomes a trial not only for the accused but for the jury members themselves. The show is produced by Eyeworks Film & TV Drama, with the support of VAF/Mediafund and the Belgian Tax Shelter in co-operation with Scio Productions. ‘The Twelve’ is directed by Wouter Bouvijn. Among the cast, we find Maaike Cafmeyer, Maaike Neuville, Johan Heldenbergh and Josse De Pauw.